Expert advice for Exchange Server 2016 and Exchange Online right at your fingertips. 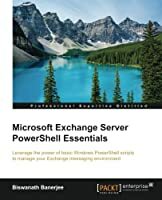 Practical and precise, this hands-on guide with ready answers is designed for architects, administrators, engineers and others working with on-premises, online and hybrid implementations of Microsoft Exchange. 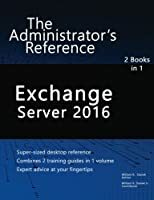 If you're an IT Pro responsible for configuring, managing and maintaining Exchange Server 2016 or Exchange Online, start with this well-organized and authoritative resource. 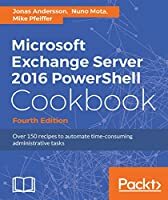 Inside, you'll find expert insights, tips, tricks and workarounds that will show you how to master Exchange Server 2016 and Exchange Online in the shortest amount of time possible. During the course of reading this book, you will master a number of complex topics, techniques, commands and functions. 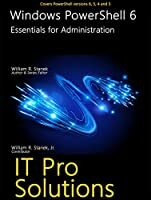 Topics include establishing remote sessions with Exchange Server 2016 and Exchange Online; creating mailbox-enabled user accounts; adding mailboxes to existing accounts; connecting to Exchange Online and Windows Azure using PowerShell; creating mail-enabled contacts; adding equipment, room and other special purpose mailboxes; moving, maintaining and repairing mailboxes; managing delivery restrictions, permissions and storage limits; managing address lists and distribution groups; configuring mail support for Outlook; customizing the Exchange Shell; configuring role-based Exchange permissions; and many more topics essential for Exchange administration. 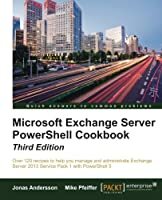 Not only will this informative training manual help you become familiar with many new ideas, it'll help you master Exchange Server 2016 and Exchange Online in the shortest amount of time possible. After completing your Exchange Server 2016 and Exchange Online journey with this in-depth guide, you will be ready to support Microsoft Exchange regardless of whether you are working in an on-premises, online or hybrid environment. As you will soon learn, Microsoft Exchange is versatile, flexible and highly customizable, allowing you to personalize the messaging system to meet your needs. The focused information you need to solve problems and get the job done.